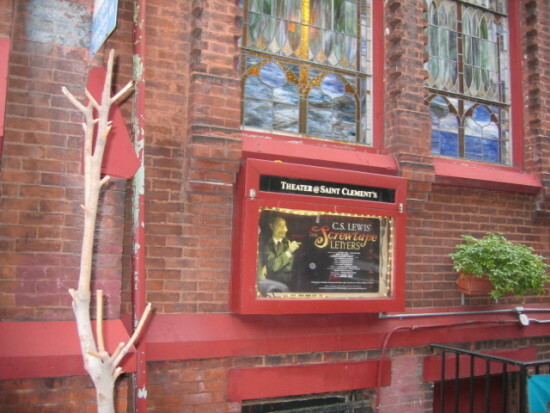 Saw the Screwtape Letters today, a 90-minute off-broadway monologue by the subtle and crafty�devil Screwtape which includes most of the memorable parts of CS Lewis' book. It is performed, appropriately,�in Hell's Kitchen -�in Saint Clement's Church. Hell's Kitchen has come a long way over the past 20 years - what a hopping area which used to be creepy, dark, and semi-abandoned. I'd live there now in a flash. We had an excellent Turkish meal down there at Turkish Cuisine, with decent Turkish wines and Turkish dark beer. I am a big fan of the Turks and of their food - and that yogurt-mint sauce they make which is good on grilled lamb and everything else. It's not too easy to find good Turkish restaurants. 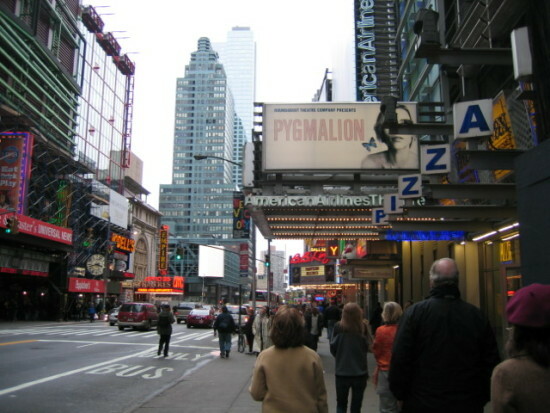 We took a nice stroll through the theater district to get over to the church/theater. On the cross-town shuttle from Grand Central, we met a group of 20 good gals from Ohio who came to NYC on a bus�for a two-day shopping spree. They were all carrying these�gigantic�black vinyl shopping bags they found in Chinatown. Nice post and pic's BD... NYC is the center of so much. Yep - the belly button of the modern world. Shoot, you want Turkish food come see us here in Istanbul. There are a few good restaurants here... seriously, back in America all you get, usually, are "Mediterranean" restaurants, which jumble up Greek, Turkish and Lebanese and get the names all wrong. I was living in Fairfield County, Connecticut a few years ago and there was actually a decent Turkish restaurant along the Post Road near the library and post office there, went out of business -- probably had a Turk running the business end as well as the kitchen or something. There was an okay one we found in Bridgeport after that, but yeah, good, pure Turkish restaurants are rare. Been there. Love it. 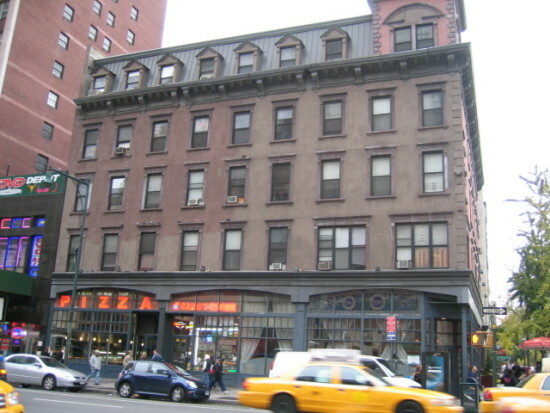 This one in NYC is run by a family of Turks. Best kind. There's also Cafe Kilim in Portsmouth, New Hampshire, near the coast, run by a Turk named Yalcin. Don't know if it's still there, the food's not all that Turkish but the coffee's great. I hadn't heard about the Screwtape show, but it's a natural book for such a production. Next to the Bible it's shaped my Christian outlook more than any other. By been there, I meant I've been to Turkey, and hope to return soon.